...If no one invested in you? 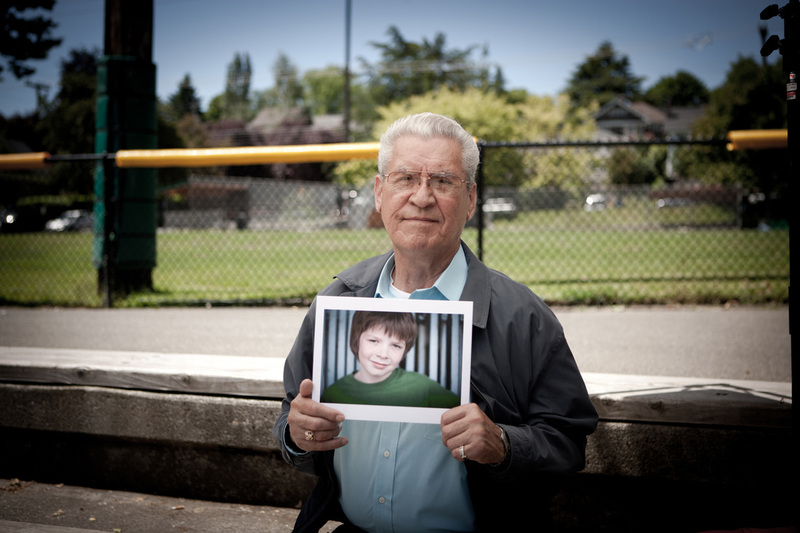 As trained advocates, our volunteers are appointed by judges to be a voice for abused and neglected children in court. Because of their work, these children find a safe, permanent place to call home. All it takes is a commitment to do what is best for a child. Before receiving a case assignment, our volunteers undergo thorough training in courtroom procedure, social services, the juvenile justice system, and the special needs of abused and neglected children. Establishing a relationship with the child is one of the most important things a CASA volunteer does. 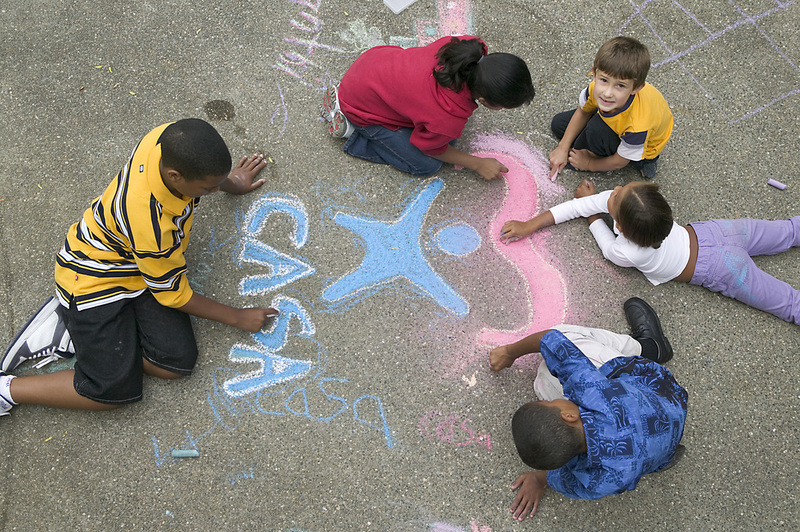 The ideal relationship is one that maximizes the CASA volunteer's ability to advocate successfully for the child. 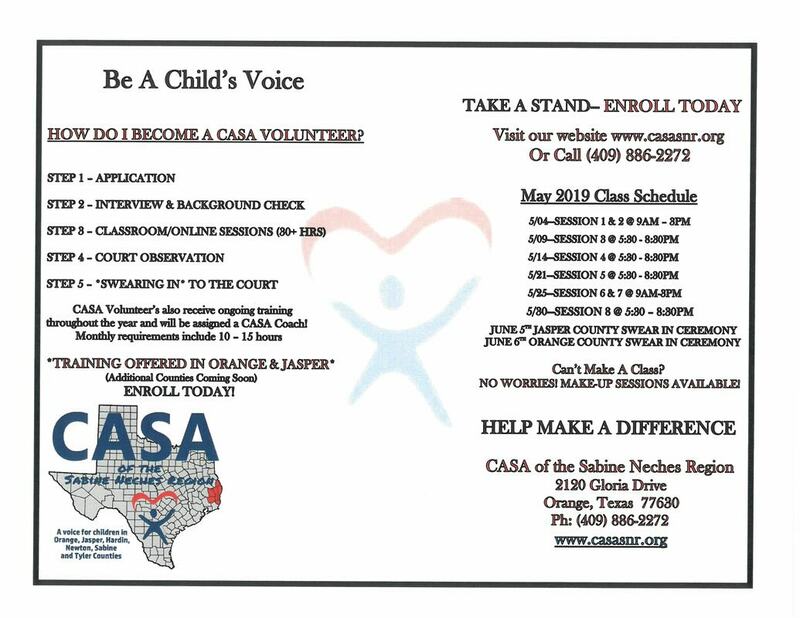 For more information, contact Tammy Fenton at 409-886-2272 or via email at tfenton@casasnr.org. Director of Advocate Services, Tammy Fenton, 2120 Gloria Drive, Orange, TX 77630.